Meet Dr. Todd Donohoe, D.C., D.I.C.C.P. Dr. Donohoe is a Doctor of Chiropractic and holds a Diplomate in Clinical Chiropractic Pediatrics (D.I.C.C.P.). Dr. Donohoe studied Exercise Physiology at Chico State University in California as a stepping stone into his chiropractic education. He graduated with a B.A. in Physical Education in 1993. From there, he went on to Cleveland Chiropractic College in Kansas City, Missouri, and graduated as a Doctor of Chiropractic (D.C.) in 1997. 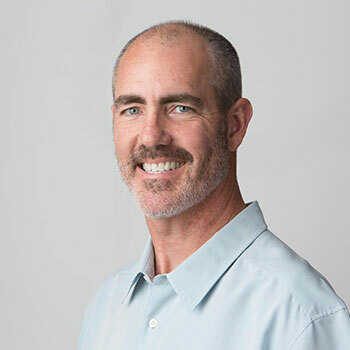 Dr. Donohoe has always enjoyed working with children and he decided before leaving Chiropractic College to further his education and specialize in the unique needs of pregnant women and children. After 3 more years of study through the Palmer Chiropractic College of Davenport, Iowa, Dr. Donohoe attained the diplomate credential which certifies him as a Pediatric and Pre-natal Chiropractic Specialist. Dr. Donohoe has extensive experience and training in the identification of lip and tongue tie challenges and makes appropriate recommendations based on findings. The importance of identifying lip and tongue tie challenges cannot be under stated. These challenges can lead to interruption in breastfeeding and, in some cases, even lead to discontinuance when improperly identified or treated. When necessary, Dr. Donohoe refers these cases to only the most highly respected pediatric dentists that use the most modern procedures to address and overcome these challenges. Dr. Donohoe and his wife, Veronica have raised a tight-knit family which includes four children, a daughter-in-law and a grandson. The Donohoes have successfully put into practice all that they passionately share with their patients and community. Their children have been raised naturally, avoiding unnecessary chemicals, medical interventions and they have even experienced the beauty of birthing at home. Their active lifestyle has taken them on countless adventures including hiking among the Redwoods, climbing waterfalls in Yosemite, playing softball on a local team, surfing the beaches of the California coast, golfing and camping. Their oldest child, a son, and United States Marine Corps Veteran, is married with a child of his own. The next, a daughter, is a college athlete who earned academic and athletic scholarships and plays volleyball at Seattle Pacific University. Another of his children is in high school, while the youngest is in middle school. The Donohoes have over 12 years of homeschooling experience. Dr. Donohoe is a published author and keynote speaker. He volunteers his time in the community speaking to parents on a wide variety of health related topics, ranging from pregnancy, infant development, childhood vaccination, natural health, Attachment Parenting and more. He and his wife, Veronica are advocates for informed consent in birth and health. They are both very vocal in the community. Please see our Community Events page for local events and Non-Profits that the Donohoes lead. Dr Donohoe is a member of Doctors for Entertainers, a nationwide group of chiropractors with vast experience in the entertainment industry. Dr. can often be found in the Temecula Wineries adjusting Smooth Jazz artists, Mindi Abair, Nick Colionne, Rick Braun and Peter White.